This accessible work provides a ‘political sociology’ of welfare states in industrial societies, with both historical and contemporary perspectives. Ellison focuses on the social and political underpinnings of a number of welfare regimes and looks at the transformations they have undergone and the challenges they face. This book assesses current debates about the role of ‘globalization’ in welfare state change, paying particular attention to contemporary views about the capacity of embedded institutional structures to limit the effects of global economic pressures. Ellison assesses the changing nature of social policies in nine OECD countries – selected to include ‘liberal, ‘social democratic’ and ‘continental’ welfare regimes. Taking labour market and pension policies as the main areas of investigation, this volume provides ‘snapshots’ of welfare reform in each case, charting the ways in which different regimes ‘manage’ the range of challenges with which they are confronted. 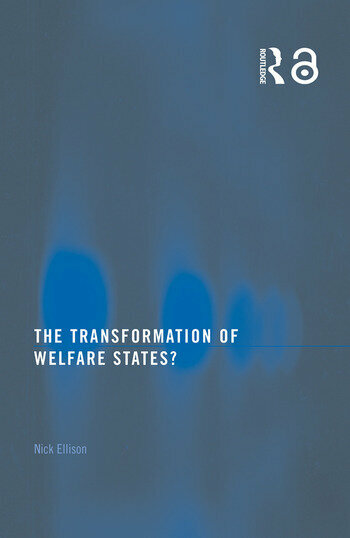 Ultimately, the book suggests that all contemporary welfare regimes are experiencing a level of ‘neoliberal drift’. As yet, this trend towards liberalization remains constrained in those countries with more ‘coordinated’ economies and institutionalized forms of social partnership – but the question is for how long? This book will be of great interest to students and scholars of International Politics, Sociology and Social Policy. 1. Globalization, Institutions and Welfare Regimes 2. The Challenge of Globalization Chapter 3. Globalization and Welfare Regime Change 4. Towards Workfare? 5. Labour Market Policies Conclusion: Liberalizing Welfare Regimes?